For the past three years, Royal Institution of Chartered Surveyors (RICS) has commissioned UCL Environment Institute to calculate the Global Zero Carbon Capacity Index (or ZC2 Index) measuring the performance of a global sample of countries in making progress towards zero carbon ‘built environments’. This is in recognition that the built environment plays a major role in global carbon emissions; about half of such emissions are associated with the construction and use of the built environment. The ZC2 Index, devised and calculated by the UCL Environment Institute, uses robust data from the International Energy Agency (IEA) and World Bank. It is based on data for energy consumption in the residential, service (tertiary) and domestic transport sectors, together with data on the share of renewables in energy supply and a measure of the number of policy instruments in place directly targeted at reducing carbon emissions associated with the built environment. India, along with China, represents the lower middle income countries within the index sample of countries. This puts it in a slightly different position to the many high income (26) and upper middle (6) countries in the sample. India, along with China, has to plan for considerable economic growth to lift a significant share of its population out of poverty as well greater energy and carbon efficiency. India has performed relatively well according to the ZC2 Index. In 2008 it was placed third. Although its position has fallen to 7th in 2009 and 9th in 2010, this still puts India in the top third of countries within the index sample. 1.The energy consumption per capita (for residential consumption) and per unit of GDP (for tertiary or services sector consumption and transport) is low. It has the second lowest residential energy use per capita (after Brazil) and the third lowest tertiary energy consumption (after Mexico and Luxembourg). These low figures are partly a reflection of low economic activity and spending power. The challenge for India will be to maintain this ranking as economic growth occurs. This will require substantial investment in energy efficiency within the home, in businesses and in transport. This will be important globally because of the size of India’s population and economy. Even now India ranks 4th in share of total global carbon emissions and 4th in share of total energy consumption among the ZC2 countries (after China, US and Russia). 2.India has a high renewable energy potential; amongst the ZC2 countries, India is ranked fifth in the share of renewable energy within Total Primary Energy Supply for 2008 after Norway, Brazil, New Zealand and Sweden. Renewable energy here includes: hydro, geothermal, solar, tide/wave/ocean, wind, gas from biomass, liquid biomass, solid biomass and renewable municipal waste. In India there is considerable direct use of biomass which, while counting as a renewable, does have considerable CO emissions as well as health consequences due to its use in poorly ventilated homes. India needs to diversify its renewable energy base, particularly as other countries are forging ahead on this front. India’s ranking on renewable energy within the index actually fell slightly from 2008, largely because of improved performance by Sweden. The dip in India’s ranking from 4th to 9th place over last three years is easily explicable: (i) Improvement by other countries on their performance on renewable or efficiency of energy consumption; more importantly (ii) India has not made much progress on the policy framework front in context of zero carbon built environments. The IEA database lists only one relevant policy and this has not changed over the last three years (2008-10). By comparison other countries are establishing more extensive policy frameworks covering: promotion of zero-carbon house building and non-domestic construction; building certification systems on energy use; retrofitting of energy insulation measures; a Sustainable Procurement Policy for the public sector; a Sustainable Construction Policy for the construction sector; promotion of Green Leases; and spatial planning for reduced carbon emissions including public transport, provision for safe cycling and walking and optimal densities. India clearly needs a policy push to move up the ZC2 index rankings. 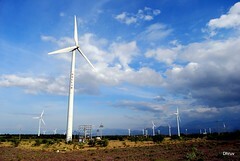 Though India deserves fair recognition for being amongst the top ten countries within the RICS Global Zero Carbon Capacity Index, future progress would depend on country’s investment in energy efficiency measures across the economy, efforts and success in diversification of the renewable energy supply base and development of a suite of policies for promoting movement towards a zero carbon built environment. Progress on these fronts will enable India to make a significant contribution towards reduction of the substantial share of global carbon emissions associated with its built environment. The author, Yvonne Rydin is a Professor of Planning, Environment and Public Policy & Director at the UCL Environment Institute.